Seeking Air Conditioning repair and new installation in El Dorado Hills? We’ve got you covered. With excessively hot and dry summers becoming routine in and around Sacramento, having a properly sized, energy efficient air conditioning system has never been more important. At their best Air Conditioning units keep us comfortable throughout our home. At their worst, Air Conditioning units break down during the middle of heat waves, drive up our electricity bills, and fail to provide comfort when we need it the most. At California Energy Services, we believe that you deserve to be comfortable in your home regardless of the weather outside. That’s why we sell only the most reliable, highest performing units on the market. We proudly install products from Carrier, Bryant, Trane, & American Standard, but we service all manufacturers! Looking for a new AC unit? Click HERE for more information. Is your current AC system failing to keep you comfortable throughout the summer? Do you notice a significant increase in your electricity bills during the summer months? If you answered yes to any of these questions, there is a good chance your air conditioning system could use a tune-up. Our specialized team of AC technicians are adept at addressing both the common issues and complex issues of improper AC operation. We also warehouse most AC parts so our technicians can often service and completely repair your system in one day. This saves you time, money, and most importantly, returns your home back to the comfortable place it should always be. We happily service all manufacturers and brands! At California Energy Services, our team is comprised of home performance contractors who have a deep understanding of building science and cooling system maintenance. We’re highly experienced in servicing air conditioning systems from the top brands in the industry, including American Standard, Bard, Bryant, Carrier, Coleman, Daikin, Goodman, Haier, Honeywell, Lennox, Rheem, Trane and more. We’ll conduct a thorough analysis of your El Dorado Hills home and work with your budget in order to choose a cooling system that is perfectly sized and meets your needs. We know that paying for valuable home upgrades can be a challenge, especially for those who must stick to a strict budget. The Home Upgrade program from PG&E involves taking a comprehensive look at your home and determining exactly what type of work can be performed to boost efficiency and home comfort. 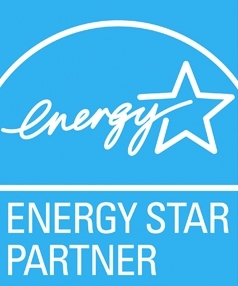 From there, PG&E offers up to $6,500 in rebates to qualifying El Dorado Hills area homeowners when making certain home performance and energy efficiency upgrades. Upgrades such as new insulation, air sealing and HVAC equipment are eligible for rebates! Interested in improving your current AC system’s energy efficiency or having a new efficient model installed? Give us a call at 916-737-1107 or contact us here. We look forward to discussing your AC options with you. Stay cool during Summers in the foothills.